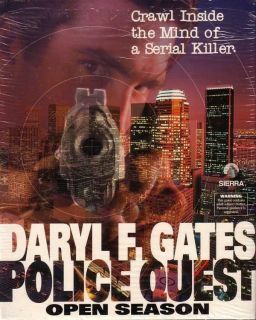 The game was created by retired Los Angeles Police Department (LAPD) Police Chief Daryl F. Gates, and is the fourth game in the Police Quest series. The main protagonist is John Carey, a homicide detective. Real photos of Los Angeles are used as the background for game scenes. The game mechanics are also super realistic, and require the player to follow standard police procedures. In the game, the player (as Carey) is tasked with tracking down a serial killer who has killed Carey’s partner and four other people.